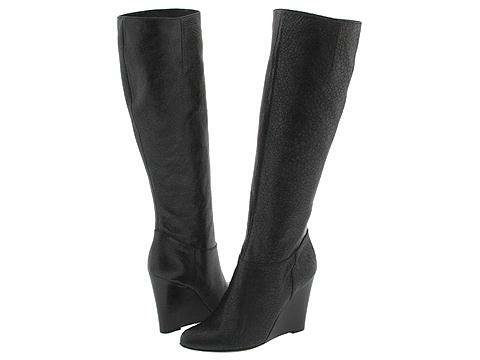 Crinkled leather looks amazing on this knee-high wedge silhouette. Almond toe shape. Leather lining. Partial instep zip. Leather sole. Made in Italy.